One cornerstone of the IRTG Diversity's PhD programme is the regular exchange between our principal and associated investigators and our doctoral candidates. 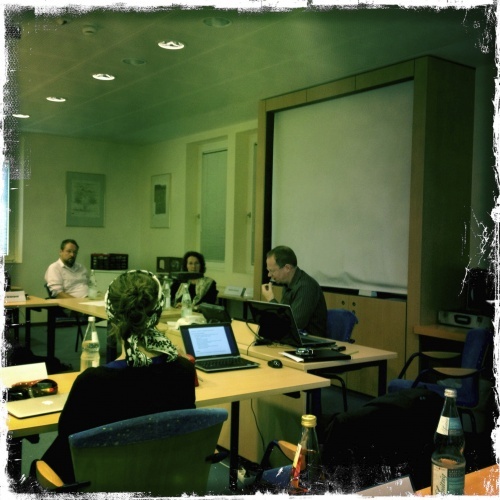 In October 2013, our PhD students and many established scholars came together at the European Academy in Otzenhausen for one week of intensive presentations, conversations, and discussions. For the IRTG Diversity's first summer school, all nine Canadian and ten German doctoral candidates came together to present their research projects to each other. See here (LINK) for our summer school programme.